Santa Photo Fear – How To Avoid The Annual Meltdown! 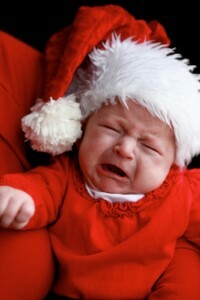 Tips for avoiding the meltdown during Santa photos? Or tips on warming them up to the idea to try and get a ‘happy’ shot? Dd LOVES Santa & Christmas but when she sees him in person, not so much lol. I haven’t been all that lucky with Santa photos over the years so any tips are welcome!